Wow. A TV exec gets it. Rosenblum is the president of the Warner television group, which is bringing back The WB brand not as a television network but an online video site, sort of an Internet network. 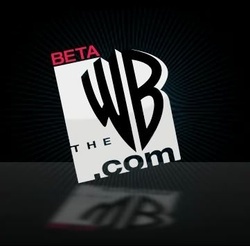 The new WB (thewb.com) will feature original short-form content developed by talent like director/producer McG (“Terminator 4” and the “Charlie’s Angels” movies) and writer/producer Josh Schwartz (“Gossip Girl”). 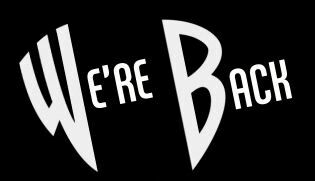 Additionally, the new WB will provide “reruns” of shows which ran on the network from its birth in 1995 to 2006, when it merged with the UPN network to form The CW for the 2006-2007 TV season. WB shows carried over to the Internet will include ad-supported episodes of the “Gilmore Girls,” “Buffy the Vampire Slayer,” and “Smallville.” Episodes of other Warner-produced shows like “Friends” and “The O.C.” will also be streamed online. It’s not known if shows produced by outside studios, like “Felicity” and “Dawson’s Creek,” will be featured. “We do not view this as development for a platform other than the new media space,” Rosenblum told paidContent. “We view the new media space as a business within itself. If one of these series do happen to take off in a wildly successful fashion and if we really believe it can be compelling in another platform, of course we’ll try to take advantage of that. “But this is not about supporting TV; this is about creating a separate business, and we regard online video as a separate form of storytelling,” he said. There’s no question the major TV networks are attempting similar strategies, but they are largely seen as traditional TV content being ported to an Internet video destination like NBC’s and Fox’s Hulu, where current and classic television can be viewed online. Then there are the Web production companies developing video content for the Internet, but these efforts often feel like the end goal is to be a hit on traditional TV (quarterlife anybody?). The WB, on the other hand, will be an online network first, developing such short-form shows as “Sorority Forever” and “Exposed” (McG) and an untitled series about a fictional Hollywood rock club (Schwartz). Like the original WB, much of the programming is targeted at teens and women ages 16 to 34, which are attractive to advertisers.